How Can We Teach Our Girls to Love the Way They Look? 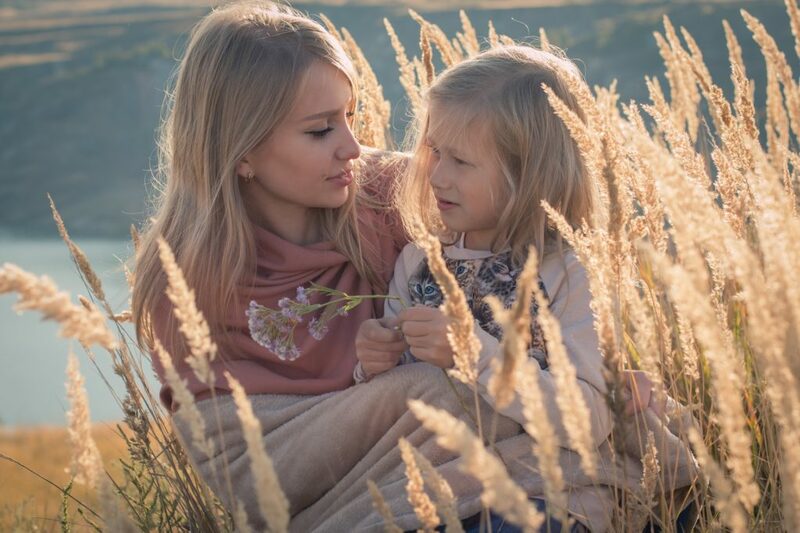 The answer to this question mainly lies in the realization that if we as adults can love the skin that we are in, then our children will develop a higher level of confidence and self-esteem. By age 6, especially girls start to express concerns about their own weight or shape. Studies show that 40-60% of elementary school girls (ages 6-12) are concerned about their own weight or becoming too fat. This concern endures through life. I have certainly struggled with this. I think that being exposed to so much in the media at a very young age, I began to believe that you must be certain size or look a certain way to be good enough. It took me many years of consciously wanting to change this way of thinking to reverse my thought process. I used to work out because I hated my body and wanted to change it. Now I workout because I love my body. Understanding this concept has helped me embrace my curves and kept me from constantly checking the scale. 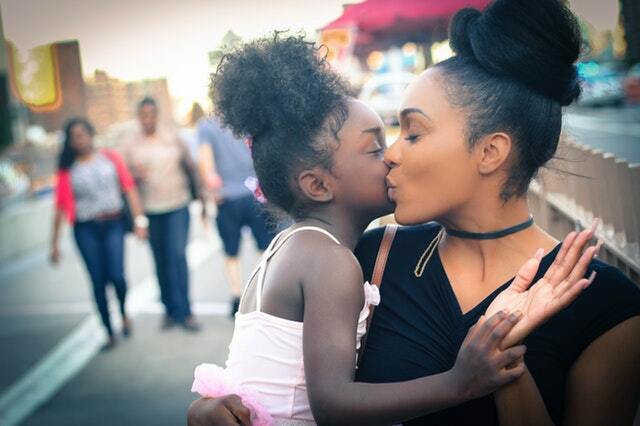 Children of mothers that are excessively concerned about their weight are at a higher risk for modeling their unhealthy behaviors and attitudes to their children. As women and mothers, we need to believe that there is beauty in every size and shape so that our children will learn to appreciate and love their own bodies. So how can we change this? Do you criticize yourself? Do you see flaws in your own appearance? Learning to embrace these characteristics and not seeing them as flaws will go a long way. Our children can pick up just on our vibes and energy. As mothers, if we can role model loving ourselves and embracing our bodies just the way they are, our children are more likely to do the same. Think about this... how was it decided that being thinner or having a certain shape is beautiful? I think it was made by a bunch of people in a board room that decided what the standard of beauty should be and then has just become a part of our culture which got passed on from generation to generation. So, the next time you think of yourself as flawed, please make a conscious effort to really think about where this thought process came from. You will find yourself trying to change into being more accepting and loving of yourself just the way you are. Just this simple act of conscious thinking can change your self-esteem which will gradually translate to your child. Specialists that works with individuals with body image issues, eating disorders and depression will agree that exposing young girls too early to social media and magazines can affect the way they look at themselves. Children are very impressionable and may begin to believe that pictures of models and celebrities are an ideal. They are starting to see younger and younger patients, especially girls, that struggle with disorders that are tied in with body image. Keeping restrictions on electronics and social media content can certainly help with this. Social media is often used for self-objectification and use of social media for 30 minutes a day can change the way a person views their body. According to the guidelines posted by the National Eating Disorders Association based on studies, teen girls using social media devices were more likely to internalize a drive for thinness and body image. Having them ‘check-in’ their phones after a certain time each day may be something that could work for some children and teens. The National Eating Disorder Association states that 40% of overweight children are teased by either a family member or a friend about their appearance and weight. Weight teasing puts a child at higher risk for anxiety and depression. We can’t always control what happens outside our homes, but we can try hard within our families to avoid teasing or name calling among siblings and other relatives. Having open communication with our kids so that they feel safe to come and talk with us about issues is important. If a child knows that they belong and are loved in their home and families as they are, there’s a good chance they will be less affected by the pressures of society and peers. Most children just want our time. They want to be heard and want their feelings acknowledged. Many times, trying to keep the balance between work and home, I have to stop myself and make an extra effort to pause to make sure I have been able to hear and understand my boys. I have found myself trying to answer a text or an email when my child is trying to communicate with me. Just having the awareness of being as present as I can for my kids is step in the right direction. Let’s try to place more value on the inner beauty within each one of us rather than defining ourselves by what is on the outside. Appreciating acts of kindness and generosity in others will teach our kids what is really important in order to live a more fulfilled and successful life. My favorite role models for my kids are people that we come across in our daily lives…teachers, police officers, our school principal, babysitters, grandparents and often their own friends. If you are lucky to be surrounded by such loving people, try to notice and appreciate these individuals. Let’s all join together as a community and be aware of the messages that we are sending other women and girls. Is there a standard of beauty? Let’s refuse to accept that beauty comes in the narrow box that much of society has led us to believe in. Rather, let’s all celebrate the uniqueness and diversity of every individual and find the beauty within. For more information about eating disorders, visit the National Eating Disorder Association website. beautifully said! Thank you! As a mom of 3 girls, I constantly struggle with body image issues myself and try to not expose that to my girls. At the same time having them understand “healthy living lifestyle” and its consequences for their health future is important too. Copyright © 2018 BStrong Together. All rights reserved.